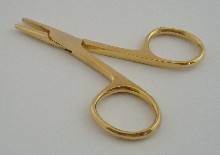 Small, fine forceps without lock. For removing hair from ears, etc. Serrated jaws for improved grip.